On July 1, Rabbi Meir Goldstein will start his tenure as the Michael Steinberg ’61 Rabbi and executive director of Dartmouth Hillel. He succeeds Rabbi Edward Boraz, who will leave the College on June 30 after a 20-year tenure. 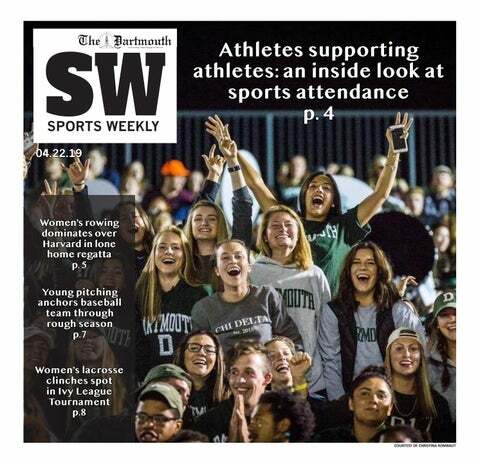 “Dartmouth seems like such a special place, and people are very committed to the success of the [Roth Center] and to student growth, which are all things that I am so passionate about,” Goldstein said. While Goldstein does not arrive on campus until July 1, he said both he and his family are excited about joining the Dartmouth and Upper Valley Jewish community. Goldstein is currently the associate chaplain for Jewish Life at Elon University in North Carolina. At Elon, Goldstein is responsible for helping organize education, programming and holidays for Jewish students. He also works with the other chaplains at the University’s multi-faith center and serves as a spiritual advisor to all students on campus. Dartmouth College Hillel president Talia Lorch ’20 said that the interview process was conducted by a committee comprised of two students, members of administration and a few Dartmouth alumni. After the first round of interviews, candidates were invited to campus. During their visit, candidates conducted a lesson around the weekly Torah portion. Following their teaching demonstration, the session opened up to questions from students. Former president of Hillel Julia Feinstein ’19 said that she was able to meet Goldstein shortly before the question and answer session. Rabbi Edward Boraz, the current executive director of Dartmouth Hillel, said that while he chose not to be directly involved in the selection process, he was kept informed of its proceedings. “It is really important for the college students to really feel unencumbered with me providing input, and so I took a step back intentionally” said Boraz. Boraz, Goldstein and current members of Hillel said that they are all committed to ensuring that the transition period goes smoothly. “We have to figure out various things about how we are going to reconfigure the building to have two rabbis instead of just one,” Lorch said. While Boraz served both the Dartmouth College Hillel and the Upper Valley Jewish community, Goldstein will only work with the College Hillel. The Upper Valley Jewish community is still in the process of searching for their new rabbi. Lorch said that she hopes the Upper Valley Jewish community and Dartmouth Hillel will remain connected. Feinstein said that Dartmouth students also teach children of the Upper Valley Community at the Hebrew school within the Roth center. While Goldstein plans on bringing new ideas to the College, he also said he believes that the best plan for success is to listen and be receptive to its community members. “Dartmouth is a unique and special place, so I am going to look to the students and professionals there for us to really build [this community] together,” he said. Lorch said that she and other members of Hillel hope to collaborate with Goldstein to come up with new programming and events. In his time at the College, Boraz said he has most enjoyed working with students. After he decided that it was time for new leadership and that Dartmouth College and the Upper Valley Community needed their own rabbi, Boraz decided to step down to lead Mount Sinai, a small reformed congregation in Wausau, Wisconsin. Boraz said that he believes Goldstein is an excellent pick for Dartmouth. When asked if he had any advice for Goldstein, Boraz said that it is important to be the rabbi for students. “They want you to be who you are, to be honest, to be there, to be present and to encourage, to nurture and help them learn,” he said.